Nick Tandy will drive a Le Mans 24 Hours-winning Porsche 919 Hybrid in a demonstration at the final round of the British Touring Car Championship at Brands Hatch. It will be the first time a contemporary Le Mans racer has been on track at Brands Hatch for two decades, and will form part of a demonstration alongside the marque's flagship 918 hypercar and the 2018 specification 911 GT3 Cup car. 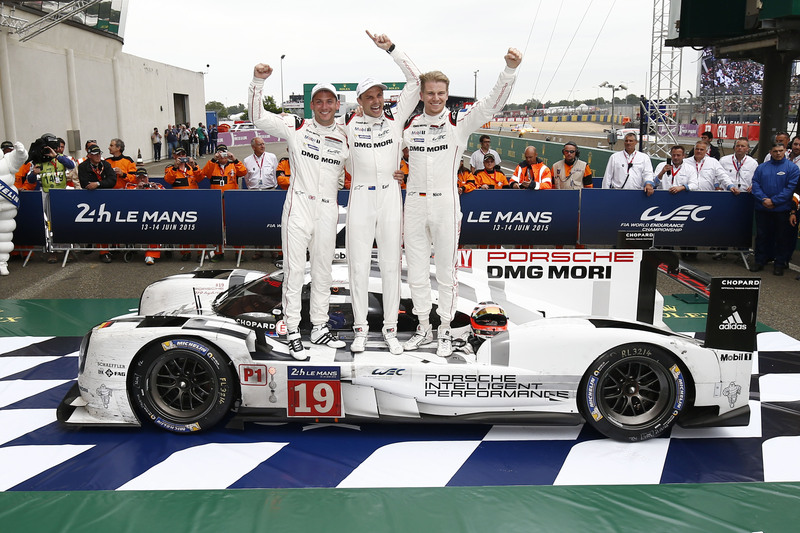 The 900-horsepower LMP1 prototype has won the iconic race for the past three years. "Brands Hatch is a circuit where I won in both a 911 GT3 Cup and a 911 GT3-R on my way to becoming a factory driver, and Porsche has a lot of history at the circuit too, so it's very special to be able to demonstrate the 919 Hybrid there," said Tandy. "I've raced in front of the BTCC crowd many times and my team, JTR, has been part of the package for many years now. "The passion and enthusiasm is always incredible, and hopefully we'll be able to show this impressive piece of engineering to a lot of fans who wouldn't otherwise get to see it." Porsche has enjoyed sportscar success at the Kent circuit in the past. It won the rain-soaked 1970 1000km with Pedro Rodriguez and also took victory with the circuit's current owner Jonathan Palmer and Jan Lammers in 1984 - part of its five-year winning streak at the event. Ragnar Schulte, the UK head of marketing and motorsport for Porsche, said: "When we knew there was an opportunity to bring the 919 Hybrid to Brands Hatch we had to make it happen. "Brands Hatch and Porsche have so much history, not least of all from the days when the 956 and 962 were so successful here in Group C.
"Both those cars represent such a large part of the heritage the 919 Hybrid has had to live up to." The demonstration runs will take place across both days of the final round of the BTCC on September 30 - October 1.